Dave MacCuish has almost 40 years of experience in complex commercial litigation, trying more than 35 matters involving a diversity of subjects and industries. 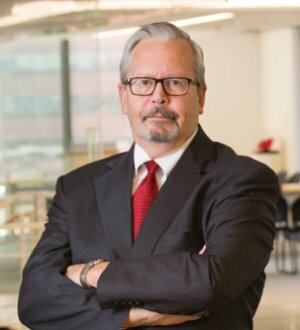 He has tried contract, fraud, antitrust, environmental, real estate, insurance, products liability, trade practices, unfair competition and trade secret disputes in federal and state courts and has successfully handled hundreds of other commercial engagements. He has also arbitrated a number of contract and technical matters in various arbitral forums. Dave has developed special expertise in the energy industry. He has handled a wide spectrum of commercial matters for oil and gas companies and electric energy producers, including the full range of renewal energy sources. Dave has also served as lead appellate counsel on appeals involving an equally broad range of matters, resulting in several dozen published opinions. Dave's achievements have been recognized in Who's Who Legal: California and in Southern California Super Lawyers for the last nine years.